Brabham BT62 makes North American debut during Monterey Car Week. The BT62 features a new tribute livery in honor of racing legend Dan Gurney. What makes the Brabham BT62 so special and unique? Tony Borroz walks us through. Okay, get set. 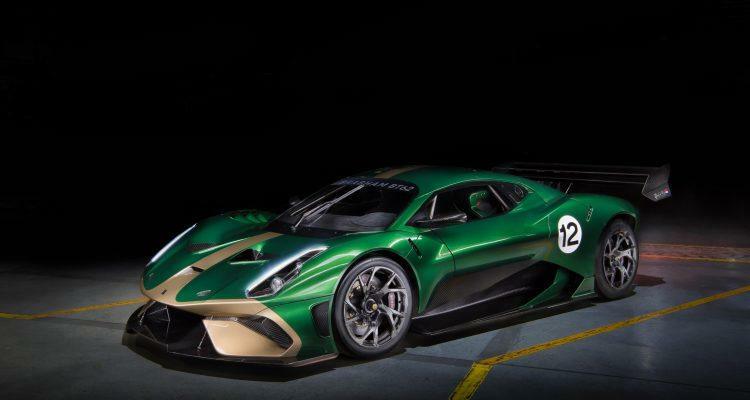 This’ll be our first chance to lay eyes on the Brabham BT62, the track/radical street car direct from the great Grand Prix constructors themselves. And, as a very classy, very nice nod to its debut in America, Brabham have painted their little monster up in a tribute to our own Dan Gurney. Now, there are some who do not know who Dan Gurney is, and you have my pity. To say he was one of America’s greatest race car drivers would be glaringly inaccurate. Dan Gurney was one of the greatest race car drivers ever. Period. When some half-bright young-un says something about Ayrton Senna being the greatest of all time, I just shake my head and usually say “Dan Gurney” under my breath. So, Brabham is right on target with its tribute livery in honor of Dan. Gurney was the first ever driver to win a Formula 1 Grand Prix in a Brabham racing car and, just like the Brabham BT7 that Gurney raced to victory at the French Grand Prix in 1964, the BT62 you’ll see sitting on The Lawn at Pebble will be finished in Brabham’s distinctive Green and Gold colors. saWEET! Working in conjunction with technical partner Michelin, the Brabham BT62 will be at the tire manufacturer’s stand at Laguna Seca on Friday, August 24th and Sunday, August 26th. Photo: Brabham Automotive. The BT62 has been designed from the ground up with a bunch of exceptional engineering details. The BT62 draws on the project team’s vast experience to create a car crafted from lightweight carbon fiber, with an equally aggressive aerodynamic package, and an optimal balance between function and form. “Pure-bred for the track,” say the Aussies and I will not argue with them. How about an in-house, Brabham-built naturally aspirated 5.4 liter V8 plant? With a power-to-weight ratio of 730 ps per ton and a dry weight of just 972 kg? 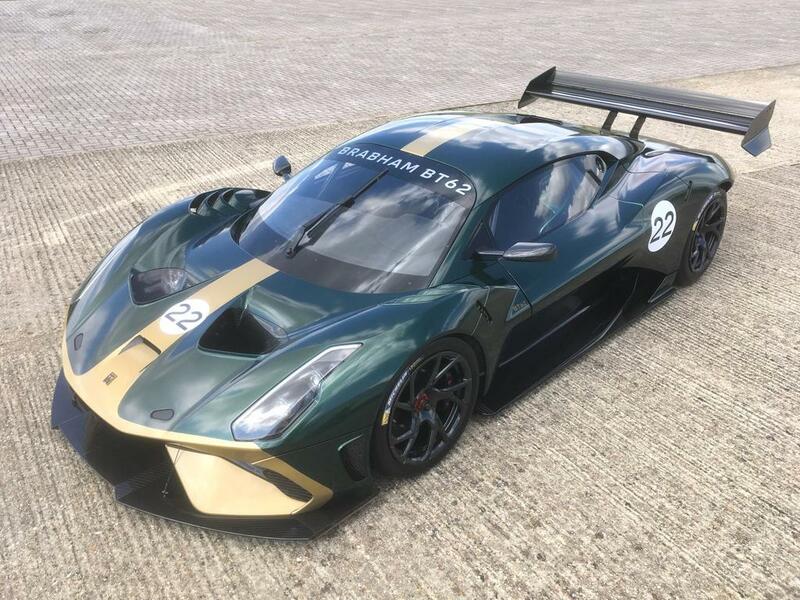 Brabham Automotive founder David Brabham, and yes, he’s Jack and Betty’s son, the same David Brabham that is a triple 24 Hours of Le Mans winner and two time American Le Mans Series winner, will be presenting the Brabham BT62 at Monterey. And, if this thing is at all like Black Jack’s racing cars, it will be awesome to behold; no higher tech than it needs to be; engineered, but not over-engineered, reliable as an anvil, fast as lightning. And only $1,300,000? Sign. Me. Up. No Comments on "Brabham BT62 Emerges During Monterey Car Week"